I recently attended the tech.unplugged event in London (my thoughts on it are here) and the London VMUG the following day, and was in the right place at the right time to take part in the InTechWeTrust podcast, episode 32. For those not familiar with this podcast it’s run by a prominent team of bloggers who have a background in enterprise infrastructure and has been going since last September. You can listen to the podcast directly via the player below or your usual choice of subscription (iTunes etc) – just head on over to the InTechWeTrust website for all the links. 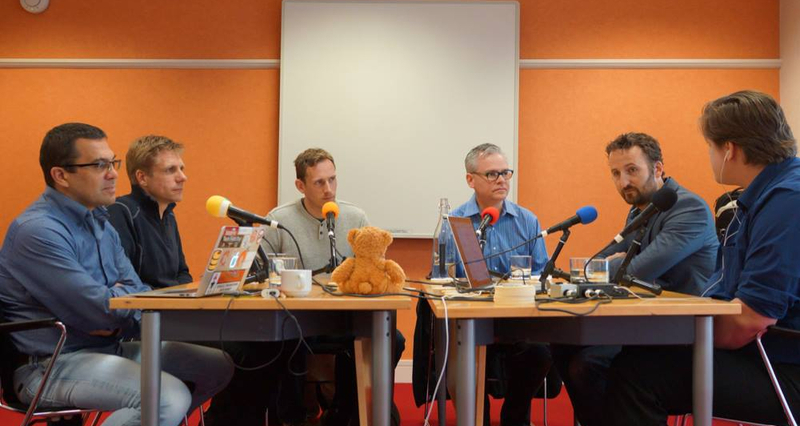 Make sure you listen to the last 15 mins with EMEA CTO Joe Baguley – very interesting. InTechWeTrust Episode 32 – Containers, Project Photon/Lightwave, AWS, Netapp, CoHo Data + more! I’d like to use this blogpost to follow up on some of the topics discussed and my contributions. ...on ‘containers’. Sometimes I find myself speaking on a topic of which I’m by no means an expert – I try to avoid it as I’m all about facts, impartiality (as far as that’s possible) and I’m a believer that your reputation is sacrosanct (not just in the bloggersphere) but you can’t learn without getting out of your comfort zone. I’m not a developer. I have limited knowledge and minimal hands-on experience of containers. I have an understanding on where they fit into an overall architecture, who’s getting value from them, and at least an inkling of their potential but I’m clearly no expert. My comments about Docker building a platform (with an implied degree of vendor lock-in) vs Rocket’s ‘more open’ ambitions largely came from reading this blogpost from Rocket, this great Reddit thread discussing what it means, plus a good http://premier-pharmacy.com/product/strattera/ summary from GigaOm. Clearly this still needs to play out – the stakes are high and it’s going to be an interesting ride! If anyone can point me to other resources with more information I’d be very grateful! …on Photon/Lightwave/Photon. This was discussed with Joe Baguley after I’d left the podcast but the interesting soundbites for me were ‘a new direction for VMware’, the fact that containers are seen to be the boundary between VMware and Pivotal (hence why Photon/Lightwave are VMware yet Lattice is Pivotal), and the idea that containers may become embedded in vSphere itself. Interesting times! …on Netapp. There’s been a recurring discussion about Netapp on the last few episodes and a good Linked-In discussion. I was a Netapp user for over five years (and I’ve written quite a few Netapp blogposts) and while I’ve not kept an eye on their latest releases I’ve always felt they weren’t vocal enough in the social media space, especially since Vaughn Stewart jumped ship to Pure Storage. This has improved with Nick Howell’s useful DatacentreDude blog and podcast but I still don’t see enough innovation. Flash, tiering, and scale out have all been addressed but never in a convincing way – the gravity of the core ONTAP OS seems all consuming. This would seem to be borne out in their upcoming layoffs. Again, happy to be educated otherwise! Amazon? The online bookstore that turned into a kind of Best Buy/Wal-Mart online? A giant of enterprise computing? No way.